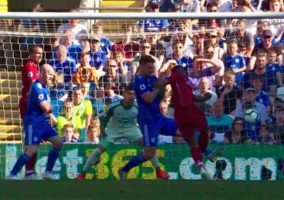 It was all about the weather at the weekend as the summer sun came early to light up a bevy of eventful Premier League match-ups. We take a peek at the North London clubs, where Arsenal bask in a seven-game winning streak and Spurs continued to get lost in the fog of the high-pressured home straight. 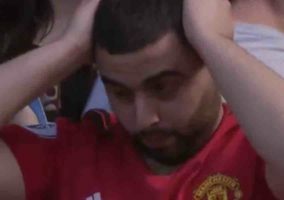 Criticism rains down on Liverpool once more as their horrific home form goes through a bigger dry spell than the Kalahari Desert. To re-hydrate, the Pod’s salivary gland goes in to overdrive by drooling over Crouchinho’s thunderous strike and Grant Holt’s refreshing brace. For good infantile measure, we also ponder whether Tony Pulis would be forced to remove his tracky bottoms in a court of law, how Mick McCarthy would survive in a Wild West scenario and whether the lead singer of Slade can bring England Euro 2012 glory. Some say ‘football has gone to the dogs’ and here is further proof as a pesky police dog delays a Brazilian first-division match by munching on the leg of Caxias striker Vanderlei. 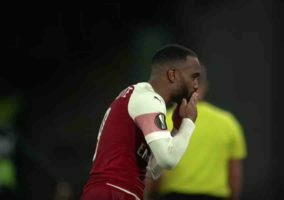 The bite is rather unfortunate but the real barking mad behaviour comes from the stadiums heavy-handed security. There’s nothing like a good old riot police battalion to back up a referee’s decision. When will we get the technology? Well the MLS has got there first – inventing live link-ups with MLS managers throughout a match. This has to be a contractual ballache for managers but on this occasion it was perfectly timed as Timbers coach (and ex-Chelsea player) John Spencer immediately answers his critics. Keep an ear out for co-commentator Robbie Earle. ITV’s loss is America’s gain. Let’s hope they take Townsend off our hands while they’re at it. Some of the most romantic moments in football fall to goalkeepers – acrobatic heroics, last-gasp goals and high-stakes penalty saves. Gymnastica de Torrelavega foward Ruben Negredo had a rare taste of glove-based glory at the weekend after the third tier Spanish team lost their routine keeper to a red. Ruben stepped up to the plate to don the no.1 shirt and face a penalty from Burgos FC. With nothing to lose and immortality to gain, he gave his best human octopus impression. What happened next you say? We all have our footballing fantasies. For some it is to dream of scoring an FA Cup final winner or to give Raul Meireles a sensible haircut. 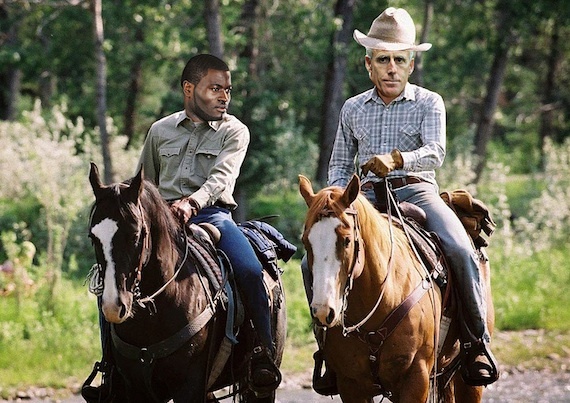 For the pod, it means thinking of Mick McCarthy owning a cattle ranch with old chum and man mountain George Elokobi. With the fact that big Mick had spent a few weeks holiday in America, we put two and two together and came up with a fictitious fantasy that bred this delightful image, courtesy of Photoshop wizard and self-confessed Mickaholic Paddy. Want to contact the Podcast team? Email podcast@offthepost.info or follow them on Twitter @offthepostpod. Visit the Podcast page to meet the team and find out a bit more about the OTP Podcast.